Samantha Brown, left, a Tate High School senior, was the winner of Pensacola State College’s 2017 Literary Quiz Bowl held Thursday, March 9, on the Pensacola campus. 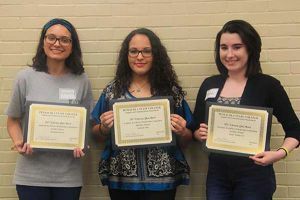 The competition was sponsored by the college’s English and Communications Department and area high school seniors competed for a two-year Academic Excellence scholarship to Pensacola State. 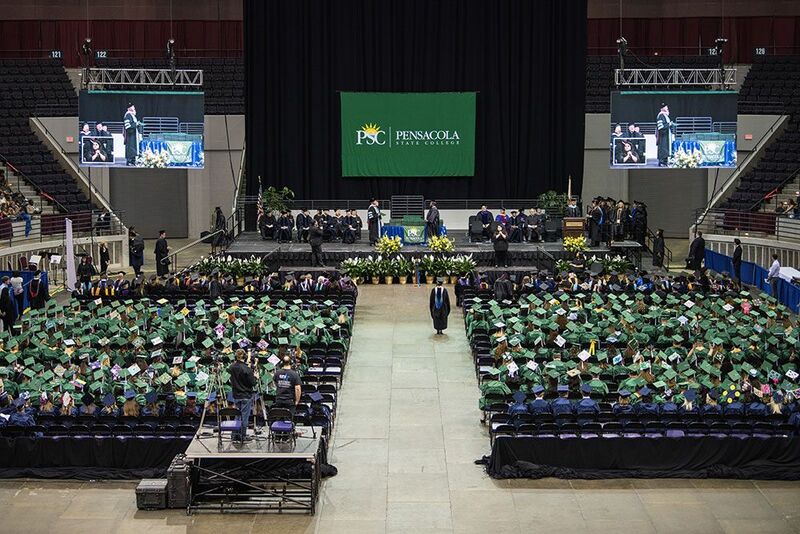 Contestants were required to have a minimum 3.0 unweighted grade point average and had to submit a copy of their high school transcript. Placing second in the contest was Gabrielle Ortiz, center, a Gulf Breeze student, and capturing third place was Sophie Fijalkowski, far right, a Navarre High student. Other competitors were Kathan Brannon from Navarre High and Naomi Semaan, a Tate High student.